We recently reported that the Suzuki SX4 is being prepped with a new enigne that would meet BS IV emission norms. Well, it is here now. And what Maruti has on offer for Indians is a much better car that can take the battle closer to the segment leader Honda City. And there is an automatic SX4 to boot. The Suzuki SX4 has always had a market – though Maruti could never repeat its success in the small car market in this segment. Since the day Honda introduced the first generation Honda City, it ruled Indian streets. Neither the Baleno nor the SX4 could really take on the City. That situation still remains. Despite its improvements, the SX4 is no Honda City, which currently is a 118 bhp car that straddles the very upper end of the mid-size segment. Maruti Suzuki is not trying to do it anymore, either. After all, how long can you shout yourself hoarse “Men are back” when the most powerful car in the segment offers a dozen and a half horsepower more. As we said, what you have now in the SX4 is a BS IV compliant. The 1600 cc DOHC engine gets variable valve timing (VVT), and horsepower is slightly up at 104 bhp (almost). Fuel efficiency would be pretty much the same – and that’s not bad anyway. Torque is the same as the last version of the SX4 at 14.8 kgm @ 4100 rpm. This is not as great as we initially thought it was. 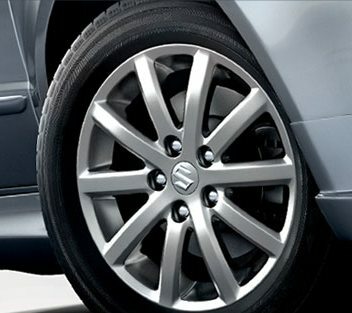 The Suzuki SX4 AT comes with a four-speed automatic transmission. Four speeds and a 103 bhp car? That is not going to be very efficient, I am afraid. We have to wait for the road test reports, but I am afraid at speed, the driver would clearly feel the need for a fifth gear. If that is the case, despite all the ease of use, the SX4 AT might cement the perception that automatic cars are not fuel-efficient. And that would be sad indeed. Definitely better. If you never liked the basic shape of the SX4, though, you are not going to like the new version either. But if improvements are what you are looking for, you will find it aplenty. The new honeycomb grille looks good, and 10-spoke 16 inch alloy wheels are nice to look at too. There is an optional bodykit available for the ZXi versions. Inside the SX4, things have improved too. The interior is now dual-tone with a lot of beige. 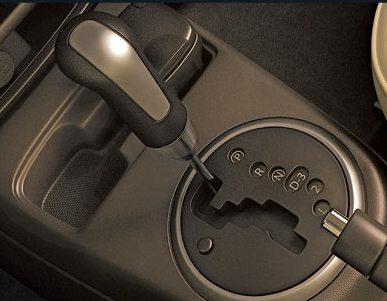 The SX4 now also gets automatic climate control. Steering wheel now features audio controls – now that is a feature that sells cars! Maruti SX4 manual transmission prices start from Rs 6.68 lakh (ex-showroom Delhi) for the base manual VXi version. The ZXi would cost Rs 7.37 lakhs, and Rs 7.71 lakh for the top end manual ZXi version with leather upholstery. SX4 AT prices start at Rs 8.02 lakh for the ZXi version, while opting for the ZXi with leather would put you back by Rs 8.36 lakh. AT is oly available in the ZXi versions. You can see that Maruti Suzuki has taken care to price the car cleanly below the prices of the new Honda City.